Arina’s Shoe Repair has been around since the 1960’s. This one of a kind shop repairs shoes, purses, belts, jackets, luggage and just about anything made of leather. You might not think this is a big deal, until you need this service. There are not a lot of these little specialty shops around anymore. If you need new heels on a pair of nice leather shoes or a leather briefcase or purse repaired, where would you go? If you live or work around Silver Spring this is the place to go. The man that works at the Silver Spring Arina’s is a native of Armenia and is a master of his craft! Watergate. After a few “insults and run-in’s” with a prominent Senator and a media person from NBC, he returned to the Silver Spring location and has been back here since about 1982. They make keys too, that really WORK (better than any hardware store or locksmith I’ve used before). National Ice Cream Month is winding down. 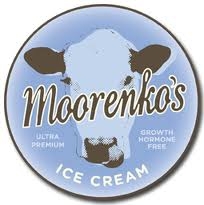 When I think about good premium ice cream, I think Moorenko’s in Downtown Silver Spring, but there is another place I think of that’s a little further outside of Silver Spring in Burtonsville. It’s definitely worth the short trip for the ice cream. Seibel’s, a family style restaurant, is a Landmark at the corner of Route 198 and Route 29 in Burtonsville. Buck Seibel built a Milk Processing Plant in 1938. Milk was processed from the Family Farm located 2 miles away from the plant. Buck operated a home delivery service to local area homes and in 1939 opened Siebel’s Dairy Bar in a small storefront at the plant. Along with ice cream he later served hamburgers and soup at the Dairy Bar. 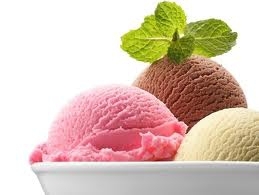 Buck Siebel created his own recipe for homemade ice cream, which became famous. He never advertised, yet people as far away as Virginia learned about this delicious ice cream and came to Burtonsville to buy it. You can still buy this same ice cream today at Siebels Restaurant! 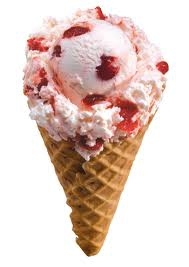 July is a great month to go out for ice cream at Siebel’s because they usually have special low prices on cones! My favorite ice cream treat at Seibel’s is the Strawberry Shortcake, the real old fashioned kind make with a biscuit (not cake) and their hot fudge cake is out of this world too. Today, after many improvements and additions to the little old Dairy Bar, Siebels is a full service restaurant serving Breakfast, Lunch and Dinner including alcohol. The last time I was in Siebels, Montgomery County Executive, Ike Leggett was having lunch with his staff 2 tables away from ours. The best place for ice cream in Downtown Silver Spring “hands down” has got to be Moorenkos Cafe. Moorenkos is a small independent bussiness started by Susan Soorenko in 2002. The factory where it’s made is in Silver Spring on Brookville Road. Moorenkos was named the “Best Ice Cream in the DC area” by the Washingtonian Magazine. This is truly LOCAL ice cream, made fresh in small batches with a french custard base and an out of this world butterfat content ( higher than all the other premium ice cream brands). This ice cream is homemade and considered Ultra Premium. It is not your typical Ben and Jerry’s or Cold Stone Creamery. All made fresh from the bottom up with no artificial ingredients. with orange is my personal crying flavor. Stop by and have a dish or a cone of the purest, freshest, localest ice cream around and don’t worry if you get addicted because it can be bought “on the street” in bulk at your local area grocery stores. Tomorrow is Fat Tuesday, Shrove Tuesday and Paczki Day, the time we all Fatten ourselves up before tightening our belts and giving up things for Lent begining on Wednesday. Head to the WOODMOOR Pastry Shop in the Woodmoor Shopping Center for some of their famous, divine, decadently outrageous Paczki. It is the very best, or maybe the only place to get real homemade Paczki in Silver Spring. They also make fantastic King Cakes. The most romantic place for Dinner in Silver Spring has to be Sergios. It is intimate, quiet and dark, like a cozy cave, the wait staff are attentive, the drinks are good, the food is Real Native Italian, Generous and Excellent! (especially the veal dishes). The atmosphere is understated thick white tablecloth elegant and romantic. Nothing beats having that warm, friendly personal greeting from Sergio Toni, the owner, a native of Rome and now a Silver Springer. Sergio has been involved with this restaurant since 1982 when it was Mamma Reginas. This Silver Spring Restaurant is a hidden treasure – the location is in the basement (off the garage) of the Hilton Hotel in Silver Spring. I haven’t been in a laundromat in a long, long time, maybe 12- 15 years. The last time I needed to use a laundromat I went to the one near the corner of University Blvd & Piney Branch Road and also the one in the 16th Street Strip Mall that was on the level under the McDonalds there. They were both crowded places and kinda dingy and dark. There were 2 different sizes of washers and dryers that took coins. I couldn’t wait to get my laundry done and get out. I recently went into the new Tropicana Laundromat on Fenton Street to wash some real bulky items (rugs, big comforters and pillows), that my regular washer and dryer can’t handle. I was amazed at how far Laundromats have come since I’d been in one! This place is CLEAN, Bright, Airy, Pleasant and Spacious. You could eat off the floors. They had 2 people outside hosing down and cleaning off the parking lot steps and even the asphalt (that people park their cars on) when I was there. It was immaculate inside and out. There must be 6 -7 different sizes of washers and dryers, from tiny ones for delicates to the Heavy Duty Super Jumbo size that I used, and there are lots of them! There are huge, long, nice clean folding tables and plenty of those big rolling steel laundry baskets. There are 3 Big Screen TVS mounted on the back wall and areas to sit and read or watch a big screen while you are waiting for your laundry to be done. And . . . No more coins to fumble with – you can load money (via credit card)into a card to use in the machines. I have to admit, when I first saw the sign go up last year I thought it was going to be some kind of an all night Restaurant/Bar. I had visions of Mai Tais, Margaritas, pina-coladas, other tropical drinks and food dancing in my head. I was disappointed at first when I figured out it was a Laundromat. I’ve always liked this bookstore. The atmosphere, arrangement and smell remind me of the “bookmobile” that used to come to our neighborhood when I was a kid. Remember them? This place is exactly what you think of when you think of a great used book shop. Long rows of tall bookshelves, cluttered, dusty, books piled almost to the ceiling. It’s packed with books, hardbacks, paperbacks, periodicals, reference books, magazines and a huge selection of romance novels. The organization here is a little crazy, but searching for a book is half the fun of visiting this shop. Just browsing in here is a great relaxing escape and I could do it for hours. Rooting through shelves and stacks of miscellaneous books is a experience you can’t put a price on. The prices are decent, higher but sometimes much lower than online used bookstores but competitive if you consider that you don’t have to pay for shipping or wait for your books to arrive. Looking for a specific category or author? You may need to look in two to four different places. Because the store handles books for multiple used book dealers, and they each get their own area of the store, one book or author may exist in a different section for each of the sellers. Co-owner, Cynthia Parker, is an expert in Romance Novels. She has won an award for promoting romance novels and writers. The award is proudly displayed at the front desk. Cynthia was wearing a pink “Books – The Original Search Engine” T Shirt when I visited. She says they are struggling to stay in business right now. There used to be a lot of these used bookstores, but they are mostly gone. Remember Bonifant Books? This one moved to Wheaton – then died. I also remember a cool little used bookstore being on that strip of Sligo Avenue where Jackie’s Restaurant is now. It is great to see this one still hanging on after 20 years in business. Shop this store, and support a local Silver Spring business. It’s definitely a different experience than you will have around the corner at the huge Silver Spring Border’s Store. This perfect little independent book store is within walking distance of Downtown Silver Spring/METRO. Located on the “eclectic” part of Bonifant Street, between Georgia Avenue and Fenton Street. Don’t drive or walk down this street too fast, or you might miss it, the storefront is inset next to the Ambros Tattoo Parlor, just past the Atlantic Gun Shop. There is a new and “improved” corner in Silver Spring. Gil’s Restaurant has opened @ the corner of Silver Spring Avenue and Piney Branch Road. It’s the corner store at the end of the old strip shopping center on Piney Branch Road near the intersection of Dale and Piney Branch. I hardly recognized this place. It’s was the site of Matchu Pitchu restaurant and then something like Lembada’s (not sure of either spelling), just remember the restaurants there before were “scruffy”, beat up looking, raucous at night and not very appetizing. The place has been painted, spruced up and there is new landscape in the front. The inside feels cleaner than the places that were there before. The food was great. It is Tex-Mex & Salvdorean. I had a lunch special platter with cheese enchiladas. The platter had the ususal beans, rice, guacamole and pico de gallo. I won’t name names, but at most of the mexican places in the area, the beans, rice, guac and pico de gallo are usually left on my plate after just a taste, especially the beans. At other places the beans are usually so bland and greasy, I don’t bother eating them. The beans at Gil’s are fantastic, I cleaned my plate. The beans are seasoned to perfection and like none I have ever had before. They are not greasy, bland, dry or hard, they are just right. The tortilla chips were also excellent, served warm with “warm” salsa, you could tell they were made there and made at least “very recently”. The guacamole and pico de gallo were really FRESH and like the beans, seasoned better than I’ve found in other mexican places. The enchilladas were very light, not a hint of heaviness and not greasy. This is a place that I will go back to again just to try more dishes. NOTE: They are just getting started in business and don’t have their credit system set up quite yet, so don’t be surprised if your credit card reciept say’s “Gil’s Painting”. The manager came to my table to give me my reciept and explained the situation. They probably do painting too? I’ll bet they did the great paint job on the outside and inside of the restaurant. Seems Gil’s had a hard time opening the place because of this location’s “seedy” “problematic” past and nearby Sligo Park Hills neighborhood complaints. They were only able to open by nixing pool tables, hard liquor and closing earlier than they wanted to. Paczki Day Today at the Woodmoor Pastry Shop in Silver Spring. The tradition is the Tuesday before Lent is a time to indulge or Fatten up before tightening belts and giving up things for Lent, which starts on Ash Wednesday. The best, or maybe the only place to get Paczki in Silver Spring, is at the Woodmoor Bakery/Pastry Shop in the Woodmoor Shopping Center. They make the most divine, decadent Paczki anywhere in the area.